WASHINGTON -- Former President George H.W. Bush will be honored with a state funeral on Wednesday, an official gathering that will include current and former presidents and world leaders to mark the life of the 41st President. The White House said both President Donald Trump and first lady Melania Trump will attend Wednesday's service at Washington National Cathedral. Illinois Governor Bruce Rauner says he will be there as well. In addition to the Trumps and the Bush family, Bush family spokesman Jim McGrath has told CNN that those attending will also include other dignitaries. Trump has proclaimed Wednesday a national day of mourning. 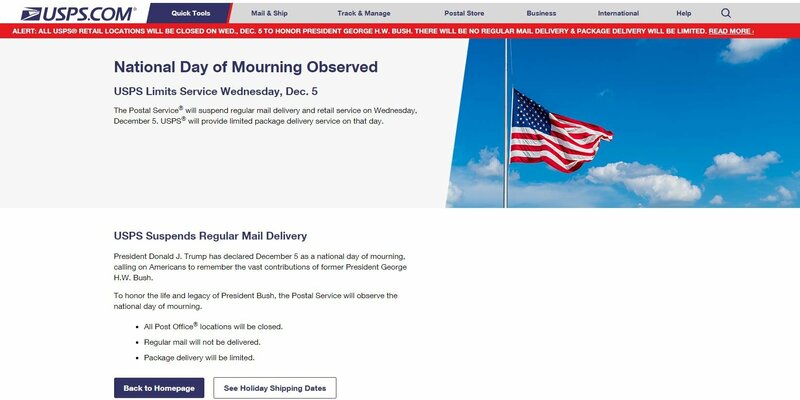 Much of the government will treat it as a holiday in reverence to Bush, and his Washington memorial will take place midday before his return to Texas. Government closed: Alongside his proclamation, Trump issued an executive order closing the federal government in honor of his passing. A memorandum from the Office of Personnel Management on Sunday outlined how federal agencies would implement the holiday. Likewise, US financial markets are due to close on Wednesday, with the New York Stock Exchange and Nasdaq suspending trading. 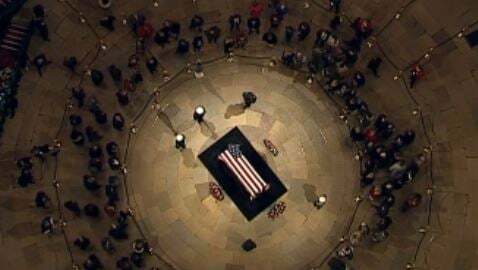 Capitol Rotunda: Bush's casket arrived in Washington on Monday from Texas. He was taken to the Capitol Rotunda where congressional leadership said he would lie in state from Monday through Wednesday, with the public invited to pay respects from Monday evening until Wednesday at 7:00 a.m. ET. A departure ceremony is then scheduled to take place at 10:00 a.m. ET, and a motorcade will then travel through northwest Washington to the National Cathedral. 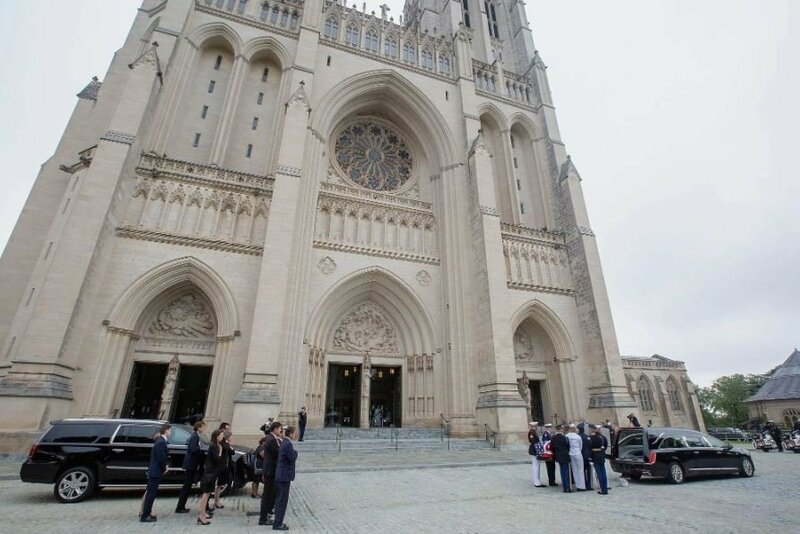 National Cathedral: After departing the Capitol, the official schedule has Bush's remains arriving at Washington National Cathedral at 11:00 a.m. ET and departing by 12:30 p.m. According to the National Cathedral, the service will be invitation only. CNN previously reported eulogies at the service will come from his son, former President George W. Bush, as well as former Canadian Prime Minister Brian Mulroney, former US Sen. Alan Simpson and presidential historian Jon Meacham, the late President's biographer. Sources told CNN Trump will not speak at the funeral. Back to Texas: Another departure ceremony is due to take place at Joint Base Andrews in Maryland at 1:15 p.m. ET. 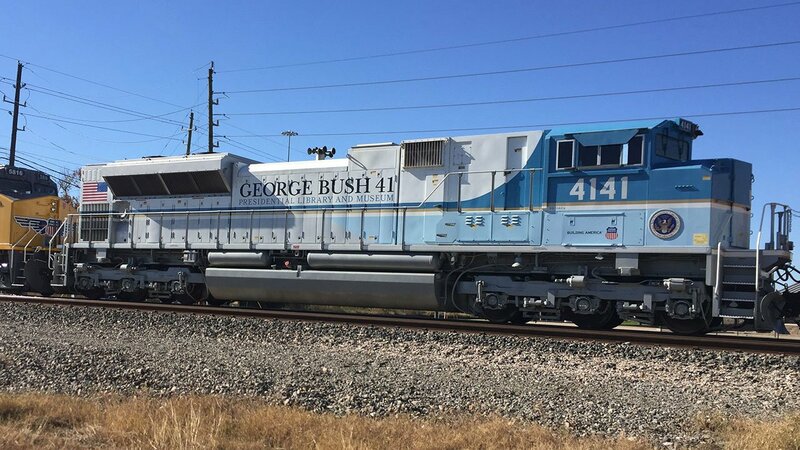 Bush's casket will take the presidential plane dubbed "Special Mission 41" for the funeral process back to Texas. He will then be taken to St. Martin's Episcopal Church in Houston, where he is scheduled to lie in repose from 6:45 p.m. Wednesday until 6:00 a.m. CT the following day. A second service is scheduled for Thursday, after which he will be taken via a train bearing his name to his final resting place at the George H.W. Bush Presidential Library.